Add some instant sass to your #OOTD with these pants. 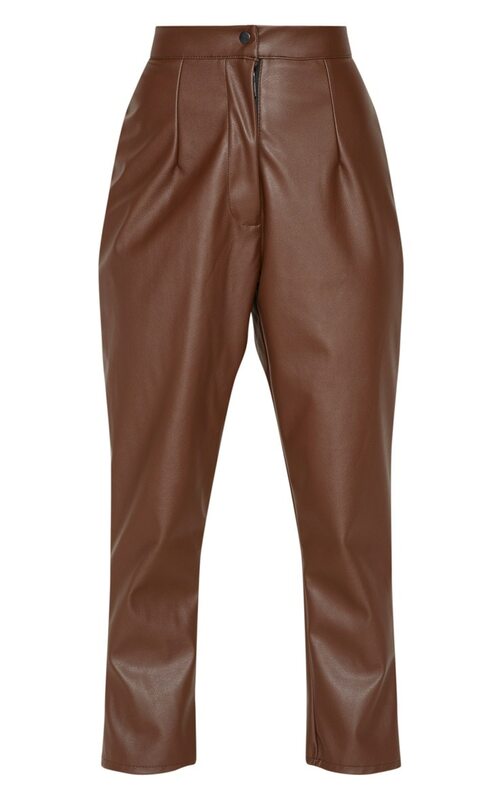 Featuring a chocolate faux leather material, a high waist and slim leg fit. Team with a crop top and strap heels for an insta worthy look.